1. Performance : – For same server configuration, performance of dedicated server is better than a cloud server. In case of cloud server RAM, hard drive and storage works on shared platform however in case of dedicated server resources are assigned to a single customer. Conclusion :- In case your application require high utilization of resource then it is recommended to opt for dedicated servers. 2. Scalability :- In case of dedicated servers it requires lot of time to upgrade the server configuration. Upgrade of server configuration is dependent on part availability. In case part is available then a server reboot is required to upgrade. In case of cloud servers you have the flexibility to scale up the server configuration on run time base. No downtime is required. Conclusion: – For scalable solution it is strongly recommended to opt for cloud servers. 3. Management and Provisioning: – In case of dedicated server, infra specifications are fixed. However in case of cloud server a user have flexibility scale up and scale down server configuration on run time base. Various companies offer DR solution on cloud at competitive price. Cloud solution is designed with various in build features like DR, back up solution etc. Conclusion: – For better management and provisioning it is recommended to opt for cloud server. 4. Reliability : – Cloud servers infrastructure is designed on multiple redundancy. However in case of dedicated servers data back up is available on Raid cards. In dedicated servers data is redundant only for hard drives. However in case cloud server infra and network is redundant on multiple levels. Conclusion: – Cloud servers are more reliable than dedicated servers. 5. Security: – Cloud server works on shared platform and dedicated server is assigned to a single customer. However both cloud server and dedicated servers run on internet. Internet is a shared platform. In both platform servers are hosted on global IP. Therefore it is difficult to compare both platform on security parameter. Conclusion: – Both platforms are equally secured. 6. Value: – In case of dedicated servers fixed monthly rental cost has to be paid by the client. However in case of cloud server client has to pay as per use age. 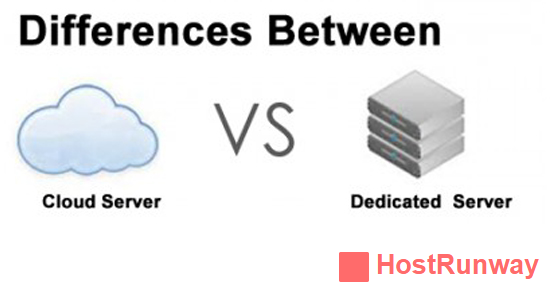 Therefore cloud servers are comparatively cheaper than dedicated server. Conclusion: – Total cost of ownership of cloud servers is less in comparison to dedicated servers. For scalable solutions it is strongly recommended to opt for cloud servers.